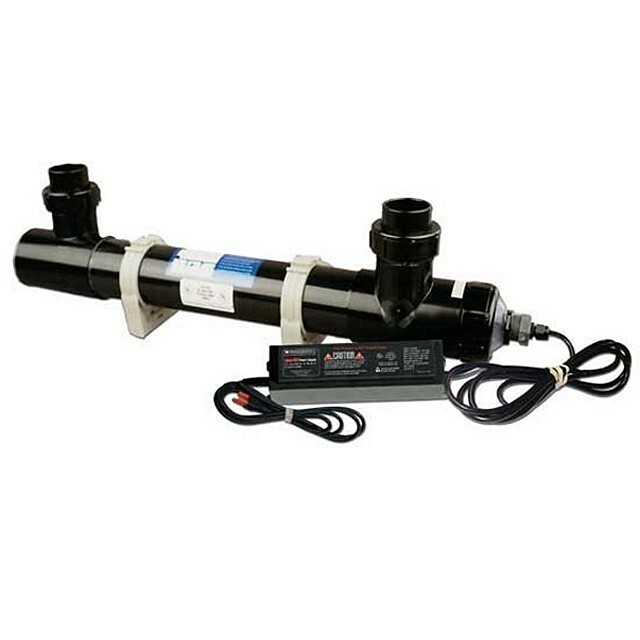 Emporer SMART UV Sterilizers are designed for serious pond keepers who are concerned with quality and performance. They offer an efficient 3″ exposure chamber diameter that maximizes the UV lamp’s output potential. Smart UVs are strong; constructed of heavy-wall UV resistant plastic, commercially designed for outdoor applications. Our UVs offer exceptional performance, are extremely durable, and operate safely in a wet environment. All power supplies are watertight and positioned on the cord, helping to protect the transformer from water damage due to quartz sleeve failure. 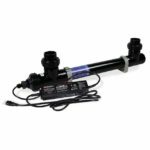 Available in five sizes suited for ponds up to 17,000 gallons, inlets/outlets with 1.5″ unions. SMART UV Sterilizers carry a lifetime warranty against damage to the UV body due to UV radiation and manufacturer defects. Performance is guaranteed when selected and operated using our performance recommendations. All SMART UV Sterilizers are UL and cUL listed. 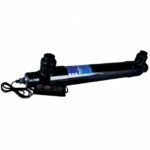 Optional quartz sleeve wipers allow for easy removal of soft waste deposits without interrupting UV operation. Quartz sleeve wipers systems will not remove scaling on the sleeve caused by mineral deposits (i.e. calcium deposits). These types of deposits can be removed only by chemical means, such as an acid bath.